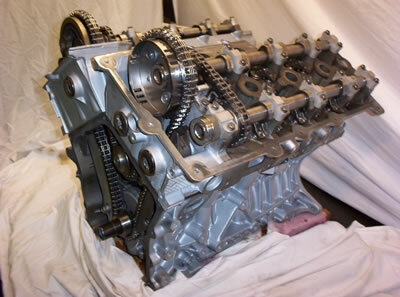 Chryslers powerhouse 2.7 V six DOHC made it`s debut in 1998 in the Concord and Intrepid vehicles. This engine came in both the front wheel and rear wheel applications throughout it`s run from 1998 thru 2008. This engine has had it`s problems with oil sludging issues and water pump failures as well as oil tensioners going bad. We have done many up grades to enhance the longevity of this engine. Please see the engine list below! ALUMINUM ROD BEARINGS-More resistant to wear than the original OE tri-metal bearings. 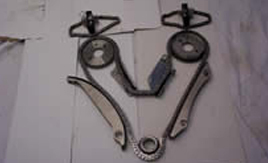 UPGRADED CHAIN TENSIONER-is used to avoid overstress on the water pump bearing. 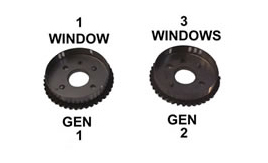 CAP PLUGS-are drilled and tapped with pipe plugs to eliminate the original problem of the cap plugs leaking oil. HYPEREUTECTIC PISTONS: Highly resistant to scuffing and wear. MOLY PISTON RINGS: Higher durability, reduce cylinder wall wear. *These are aftermarket replacement units that will replace MerCruisers Alphas. They are not manufactured by MerCruiser. *If you don`t see what you need, please call our toll free number 1-877-618-3718 with any questions!